Our textiles absorb and retain water, while providing an optimal environment for dense heathy roots to thrive. Our felt-like material is a blend of biopolymers and all natural fibers. The textile range includes products with OMRI certification and fibers grown without the use of pesticides. The propagation felts are specifically designed to manage water efficiently for optimal growth in a variety of hydroponic systems. We designed our propagation felts to maintain structural integrity for the entire crop cycle, and they won’t clog filters. As with all of our products, custom widths and pre-cut shapes are available. 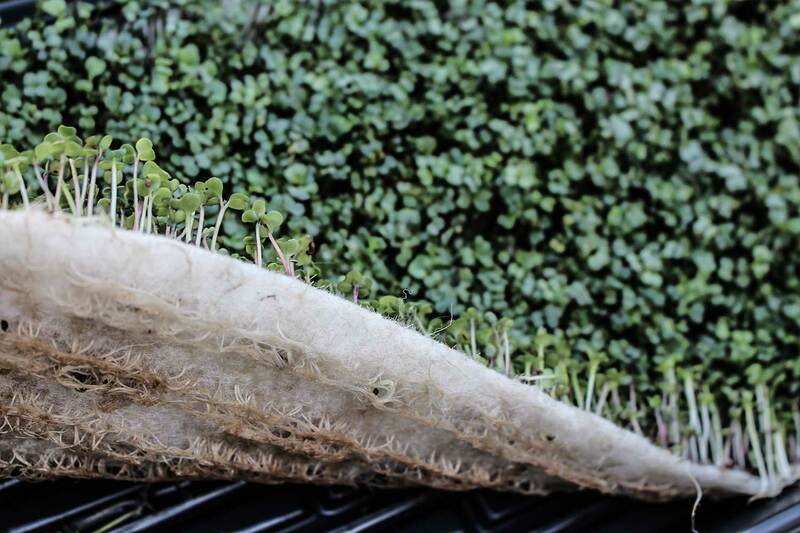 Our lightweight biobased textiles are designed for the hydroponic production of microgreens and salad greens. A product that consists out of 100% hemp fiber, OMRI-certified and cultivated without the use of pesticides, herbicides and synthetic fertilizers.